First up, it's 24: Legacy. A sequel to the original action-thriller starring Kiefer Sutherland (revived as 24: Live Another Day in 2014), this will star a completely different cast of characters, but keep the 'split screen, real-time' format synonymous with the show. 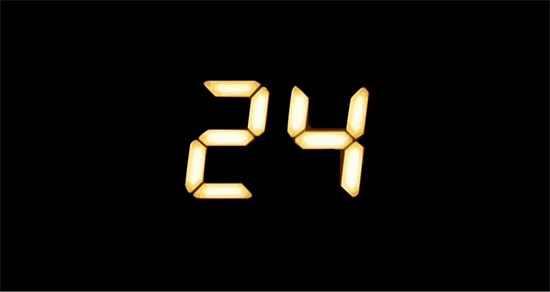 Basically, it's 24 without Jack Bauer. Is that a good thing? Is that even 24 really? The new storyline will revolve around a military hero returning to the U.S, and "the trouble that follows him back" that prompts him to ask CTU for assistance stopping a large-scale terrorist attack. That doesn't sound very far removed from what the original 24 was about, and I already expect a few familiar CTU faces will make appearances. "The lead is Eric Carter. He is clearly a significant focus of the show. There’s also a female co-lead who is a former head of CTU. It doesn’t feel like it is fully replicating the original in terms of how much Jack Bauer carried by himself, but it’s a very prominently featured lead." Walden didn't rule out past actors returning, but said other details about 24: Legacy would make it challenging. "Never say never, but right now not. There's a time jump. This is a new organisation. It's a new CTU, a new cast of characters. It's a completely different story in terms of this special ops group we're focusing on. It's a very contemporary story about the potential to activate sleeper cells in the United States and radicalise Americans. There are nods in the pilot to prior CTU agents. There are a couple photos that will feel reminiscent of the original but no ongoing characters." 24: Legacy is produced by Howard Gordon, Manny Coto and Evan Katz, with a pilot shooting this winter with director Stephen Hopkins (who worked extensively on early 24, but didn't return after the first season). In related news, that Prison Break 'event series' is definitely happening, with Wentworth Miller and Dominic Purcell back as the Scofield jailbirds. They're both currently starring in The CW's Legends of Tomorrow, so I presume they'll film this during their summer break (update: they'll film this April, making 8-10 episodes). Spoilers for the original show, but one of the Scofield's didn't actually survive to the end, which means we're either in for a story taking place 'in the past' (so just ignore any ageing that's happened! ), or the mother of awkward retcons. How do you think they'll manage it?